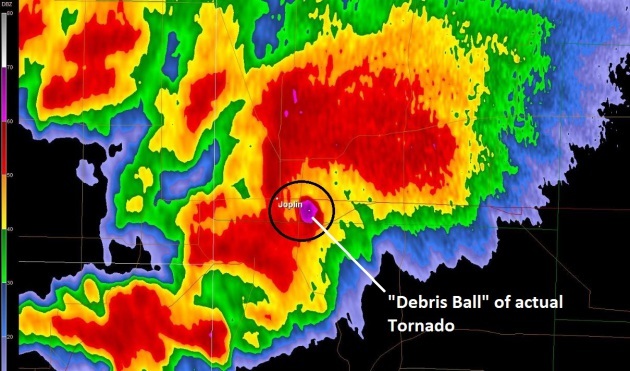 The Kansas-size supercell that spawned funnels and 4 inch diameter hail near Nisswa Sunday was a vivid reminder that Minnesota may not lie in traditional "Tornado Alley", but we do live in Tornado Cul-De-Sac. Jimmy Lindner shared a photo of what appeared to be grapefruit-size hail on Little Pelican Sunday evening. When do I get nervous? When hail larger than ping pong size falls. An updraft strong enough to keep big balls of ice suspended in a thunderhead MAY be strong enough to spin up a tornado. Think of large hail as a divine tap on the shoulder. "Time to head for the basement." A few thunderstorms may sprout close to home later today; a tornado outbreak is possible from near Madison and the Quad Cities to Rockford and Chicago by evening. A perfect Thursday gives way to another warming trend by late week. 90-degree heat, high dew points and low-level wind shear may spark another outbreak of severe storms across Minnesota Saturday afternoon and evening. Sunday looks like the drier, quieter day statewide with a drop in humidity. It could (always) be worse: 111F in Scottsdale today. Kansas-Size Hailstones. Thanks to Jim and Jorie Lindner, who live on Little Pelican Lake, about 5 miles south of Breezy Point, for sending in what appears to be hailstones larger than baseball-size. That stone under the basket appears to be grapefruit size, something you'd expect to see near Wichita or Tulsa, not the North Woods of Minnesota. Tornadoes Wreak Havoc in Northeastern Minnesota. WDIO.com has details; here's the intro: "The storms that ravaged parts of the Northland on Sunday produced at least 2 confirmed tornadoes, according to the National Weather Service. One tornado touched down about 1.5 miles to the northeast of Jacobson in southern Itasca County and trekked to the east for approximately 6 miles while crossing US Highway 2, then lifted just before entering St. Louis County. While on the ground, the tornado crossed the Swan River destroying a few buildings and barns along the way..."
Significant Tornado Outbreak for Midwest? NOAA SPC has a moderate threat of severe storms from Madison and Rockford to Chicago, Fort Wayne and Toledo Wednesday afternoon, with a good chance of MCS development and a few supercell T-storms capable of large, long-track tornadoes. Southern Minnesota is under a slight risk; the main potential for hail and damaging winds is south of the Twin Cities. TOP: Tornado Potential. Our in-house value-added models show a high to extreme risk of tornado formation later today from the Quad Cities and Madison to Chicago, Rockford and Indianapolis by the late evening hours. I expect multiple tornado watch boxes (and a few big tornadoes on the ground). Source: AerisWeather. Heaviest Rains (and Storms) Track South of MSP. It may be a close call, but 4 km NAM guidance tracks with other models showing the most significant moisture plume staying south of the Twin Cities, where some 1-2" rainfall amounts are possible with a few of these storms. Best Chance of Heavy Rain Comes Saturday. Why would you think otherwise? We'll get some rain today but models are in fairly good agreement showing the best chance of heavy showers and T-storms Saturday with predicted rainfall amounts ranging from .81" to nearly an inch. A few storms Saturday may be severe. Graphic: Aeris Enterprise. Hot Again By Saturday. If the sun is out part of the day Saturday there's a good chance the metro area will see highs near 90F with a dew point close to 70F, making it fairly uncomfortable out there - before a line of T-storms arrives. European Numbers. ECMWF guidance also shows temperatures near 90F Saturday and possible Sunday (warmer than NOAA numbers) with a cooling trend later next week. Thursday should be the best day in sight with bright sun, comfortable 70s and low humidity as a bubble of high pressure passes overhead. Graphic: WeatherBell. 4th of July Preview: Warm, Not Hot. I wouldn't bet much more than a stale corndog on a 2-week temperature prediction, but just for laughs and giggles the GFS model hints at highs near 80F on the 4th of July, then heating up to near 90F by the middle of the 4th of July week. Place your bets. Beautiful and Scary At Once: The Science of Mammatus Clouds. I always get hungry for ice cream when I see these, probably a bad idea since they only form in the vicinity of intense thunderstorms. Here's an excerpt of a Dr. Marshell Shepherd explainer at Forbes: "...Ultimately the body of scholarly research suggests that formation, size, shape, and scale of mammatus depends on sub-cloud moisture, its stability, and the terminal velocities of the hydrometeors (droplets, ice crystals) in the mammatus cloud. I also take away from reading the scientific literature that there is still no comprehensive or conclusive theory yet, but we may be close..."
Photo credit: "Mammatus clouds form over Wrigley Field during the fifth inning of a baseball game between the Chicago Cubs and the Los Angeles Dodgers Monday, June 22, 2015, in Chicago." (AP Photo/Charles Rex Arbogast). How The Battery Revolution Will Change How You Fly? A hippy-dippy pipe dream? They said the same thing about a company called Tesla. Here's an excerpt from Joe Romm at ThinkProgress: "On Friday, NASA named an all-electric plane — the X-57 — as its latest futuristic aircraft. The X-57 will be powered by 14 electric motors driving propellers integrated into a new, narrow wing design (see artist’s conception above). The battery revolution is truly taking flight: NASA has begun working on an effort “to help a significant portion of the aircraft industry transition to electrical propulsion within the next decade.” At the same time, European aircraft maker Airbus is partnering with German industrial giant Siemens to develop “hybrid planes” that combine electric power with conventional fuel. Their joint development team would have some 200 employees..." (Image credit: NASA). The Mistrust of Science. The New Yorker has an illuminating story; here's an excerpt: "...The scientific orientation has proved immensely powerful. It has allowed us to nearly double our lifespan during the past century, to increase our global abundance, and to deepen our understanding of the nature of the universe. Yet scientific knowledge is not necessarily trusted. Partly, that’s because it is incomplete. But even where the knowledge provided by science is overwhelming, people often resist it—sometimes outright deny it. Many people continue to believe, for instance, despite massive evidence to the contrary, that childhood vaccines cause autism (they do not); that people are safer owning a gun (they are not); that genetically modified crops are harmful (on balance, they have been beneficial); that climate change is not happening (it is)..."
A Place at the Table. This documentary was launched in 2012, but the problem remains as relevant and critical as ever. "The future belongs to those who believe in the beauty of their dreams", said Eleanor Roosevelt. Those dreams can become daunting when you're hungry on a daily basis. An estimated 50 million Americans, including 1 in 4 kids, suffer from food insecurity. Much of America is a "food desert", with no easy availability of healthy fruits and vegetables. We're being incentivized, through generous government subsidies to agribusiness, to eat the wrong foods, and then wonder out loud why we have an obesity epidemic and more people than ever diagnosed with Type 2 diabetes. 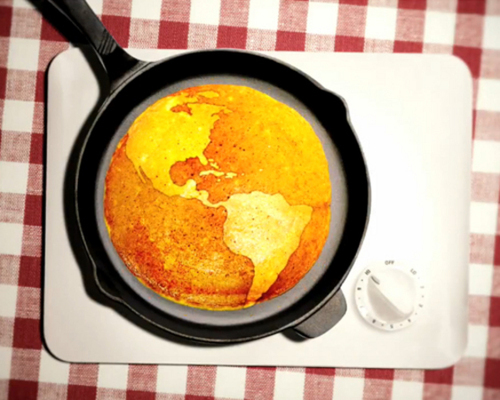 Watch this Netflix documentary, and then remind your state and national representatives that the richest country on Earth can do better: "A Place at the Table shows us how hunger poses serious economic, social and cultural implications for our nation, and that it could be solved once and for all, if the American public decides — as they have in the past — that making healthy food available and affordable is in the best interest of us all." Can Netflix Survive In The New World It Created? Here's an excerpt of an interesting story at The New York Times Magazine: "...Just because Netflix had essentially created this new world of internet TV was no guarantee that it could continue to dominate it. Hulu, a streaming service jointly owned by 21st Century Fox, Disney and NBC Universal, had become more assertive in licensing and developing shows, vying with Netflix for deals. And there was other competition as well: small companies like Vimeo and giants like Amazon, an aggressive buyer of original series. Even the networks, which long considered Netflix an ally, had begun to fight back by developing their own streaming apps..."
Ranking the Pain of Stinging Insects, From "Caustic" to "Blinding". Feeling better about the black flies. Here's a clip from Atlas Obscura: "...This description is one of 78 entries of ant, bee, and wasp stings in his Pain Scale for Stinging Insects, widely referred to as the Schmidt Sting Pain Index. Schmidt, a biologist at Southwestern Biological Institute and researcher in the entomology department at the University of Arizona, willingly offered his arm to different stinging insects of the order Hymenoptera to create the index featured in his new book The Sting of the Wild. The index ranks stinging pain on a scale of 1 (Red Fire Ant) to 4 (Warrior Wasp) and recounts Schmidt’s face-off with each insect with a poetic, and sometimes humorous, description..."
Daily Napping Could Help Save Your Life. It's true - I read it on the inter-webs! Here's a clip at Huffington Post: "...Napping improves alertness, mood and performance. But what if daily napping could help save your life? Research shows that midday sleep is associated with lower 24-hour blood pressure and supports healthy lifestyles. Plus, history’s got a host of famous nap lovers, from Einstein to Edison! So, why do we think napping is only for kids, the elderly and the sick?..." 83 F. high in the Twin Cities Tuesday. 81 F. average high on June 21. 86 F. high temperature at KMSP on June 21, 2015. June 22, 1988: Smoke fills the sky across much of Minnesota due to wild fires during the '88 drought. June 22, 1919: The 2nd deadliest tornado in Minnesota history hits Fergus Falls, killing 59 people. Like the #1 killer tornado for Minnesota (73 fatalities in St. Cloud and Sauk Rapids on 4/14/1886), it struck on a weekend. June 22, 1917: Grand Meadow has an intense downpour, and 4.98 inches of rain on this date. Corn crops are badly damaged by the heavy rain/flooding. * Photo above taken from the International Space Station, courtesy of Jeff Williams and NASA. Minnesota Second-Most Affected State in U.S. for Climate Change. Here's an excerpt of an article that appeared at The Grand Forks Herald: "...Seeley presented this data, collected in collaboration with the National Oceanic and Atmospheric Administration, which showed significant climate changes in Minnesota in terms of increases in average temperatures, moisture and severe storms. In fact, he said Minnesota had the most significant changes in the country next to Alaska. "You happen to live here in northwestern Minnesota, where we're seeing your minimum winter temperatures rise at a pace of change that equates to five degrees per century - which is a pretty steep change," said Seeley, who says the average winter low increase in Minnesota is around 2 percent..."
Photo credit: "Climatologist Mark Seeley, shows the crowd attending the Climate Minnesota event Monday how winter minimum temperatures have been increasing over the past century. 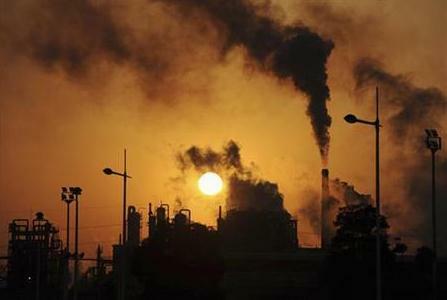 The event drew in advocates for action on the issue of climate change." DETROIT LAKES TRIBUNE/Paula Quam. Scorching Hot Southwest is Climate Change in Action. Much of the USA is baking, and warmer background temperatures may be amplifying and magnifying the heat. Here's an excerpt from Huffington Post: "...Michael Mann, a leading climate scientist and professor of meteorology at Penn State University, was in Phoenix on Friday when temperatures hit 106 degrees. He was speaking at a Democratic National Platform committee meeting, where he pointed to the extreme weather as “an example of just the sort of extreme heat that is on the increase due to human-caused climate change,” he told HuffPost. “The likelihood of record heat has already doubled in the U.S. due to human-caused warming,” he said, “and that’s just the tip of the proverbial iceberg.” Daily records were also set in California, where Burbank reached 109 degrees and Palm Springs soared to 119..."
Photo credit: AP. "A home builder works at sunrise on Monday in Gilbert, Arizona, in an effort to beat the rising temperatures." Loading Dice In Favor of More Intense Heat Events. The warm signal is already showing up, helping to make heat waves deeper and longer. Graphic credit: WXshift. Seven Climate Records Set So Far in 2016. Here's an excerpt from The Guardian: "Every month this year has been the hottest on record globally for that month. May, data published this week by NASA revealed, was no exception. Nasa’s dataset, one of three main global surface temperature records, shows February recorded the highest anomaly against long term average temperatures...."
New Crop Varieties "Can't Keep Up With Global Warming". The BBC reports; here's the intro: "Crops yields around the world could fall within a decade unless action is taken to speed up the introduction of new varieties. 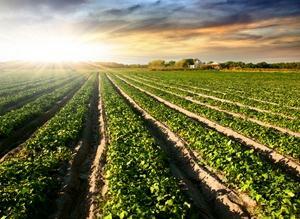 A study says temperatures are rising faster than the development of crop varieties that can cope with a warmer world. In Africa, researchers found that it can take 10-30 years before farmers can grow a new breed of maize. By the time these new crops are planted, they face a warmer environment than they were developed in..."
What Media Should Know About the House Science Committee Members Defending Exxon. Here's an excerpt from Media Matters: "...Contrary to the House science committee members’ claims, the attorneys general are seeking to determine whether Exxon and other companies knew the reality of climate change but publicly sowed doubt about climate science in order to protect their profits. Reports from InsideClimate News and the Los Angeles Times revealed that Exxon’s own scientists had confirmed by the early 1980s that fossil fuel pollution was causing climate change, yet Exxon funded organizations that helped manufacture doubt about the causes of climate change for decades afterward. This has prompted the attorneys general in New York, California, Massachusetts, and the U.S. Virgin Islands to each launch investigations into the Exxon scandal..."
Seas Rising but Florida Keeps Building on the Coast. 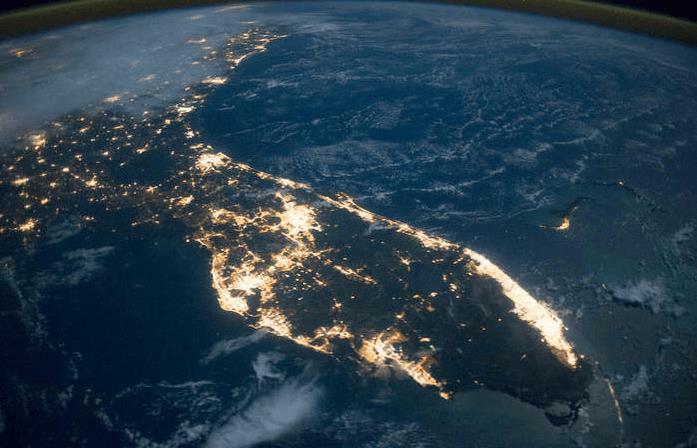 Scientific American has an article that caught my eye; here's an excerpt: "...Therein lies the uneasy reality in South Florida, home to 6 million people and projected to grow by 3 million over the next three decades. 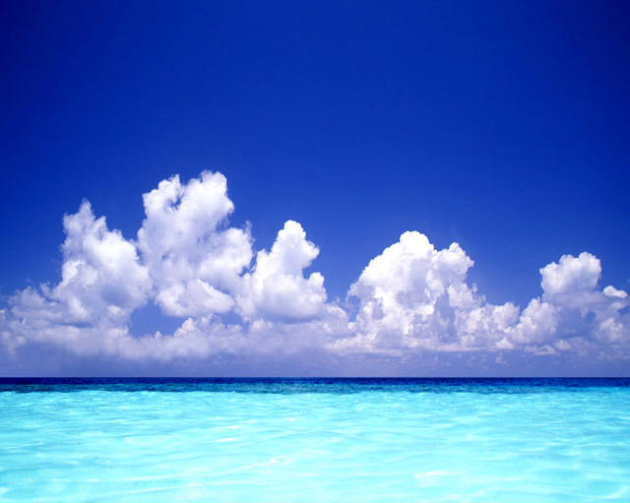 Its very existence depends on the continued allure of the beaches, waterways and natural environment. Yet, by 2050, an estimated $15 billion to $36 billion of Florida’s coastal property will be threatened by sea-level rise, according to a report last year from the Risky Business Project, a Bloomberg Philanthropies effort that quantifies economic risks from climate change. In South Florida, sea-level rise and climate change are already having an effect on available drinking water, roads and sewer lines in low-lying areas, and storm and flood insurance rates..."
I Understand Why My Friends Don't Talk About Climate Change. Eco-anxiety? Here's a snippet from Huffington Post: "...Many people may feel seriously concerned, frightened, angry, pessimistic, distressed, or guilty in response to climate change," she says. "Qualitative research finds evidence of some people being deeply affected by feelings of loss, helplessness, and frustration due to their inability to feel they are making a difference in stopping climate change. "New terms such as 'eco-anxiety' or 'climate change anxiety' are sometimes used to describe this." Dr. Burke says that if people experience something like an extreme weather disaster, the impact on them can get worse..."
Fossil Fuel Companies Impose More in Climate Costs Than They Make in Profits. Vox has the story of a "free market" that is anything but free; here's a clip: "...In most cases, however, those responsible for carbon emissions are not required to pay that cost. Instead, it's borne mainly by the world's poor and low-lying countries, and of course by future generations, as many of the worst impacts of climate change will emerge years after the emissions that drive them. People sometimes refer to the unpaid cost of carbon pollution as a subsidy, or an "implicit subsidy," to polluting businesses. The IMF recently issued a report saying that total worldwide subsidies to energy, mainly fossil fuel energy, amounted to $5.2 trillion a year..."
Staff Directory Soggy Pattern Lingers - Severe Threat Later Today - Chilled Soaking on Saturday? Soggy Pattern Lingers - Severe Threat Later Today - Chilled Soaking on Saturday?